Everything you need to make over 20 pounds of organic, protein rich, vegan tofu. 25+ year shelf life. Includes soybeans, tofu molds, coagulant, instructions and more. Certified Organic. 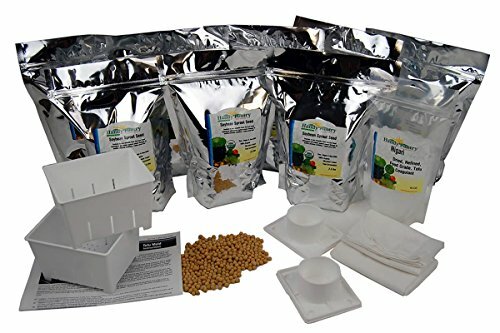 If you store emergency food and supplies consider adding a long shelf life vegan tofu making kit. Tofu is a high protein, nutrient rich food source that is simple to make. It's a great way to convert dried soybeans into a tremendous food source. When the zombies come, you're gonna want some tofu.